The reporting landscape has become much broader due to extra-financial information being requested by more and more parties. MYRMEX tackles the issue of combining both quantitative and qualitative data with an innovative approach to collecting, analyzing and reporting with indicators that suit your needs. Whether for compliance reporting, environmental footprint, supply chain analysis or transparent communication, MYRMEX integrates all your information effortlessly. CSR reporting has become a burning issue for all organizations that want to bring data about social and environmental aspects to make a point. Myrmex has implemented many of the voluntary schemes allowing organizations to communicate their commitments to all stakeholders. Myrmex therefore offers GR, ISO 26000, UN Global Compact or any other reporting standards in order to draft quickly the right report. 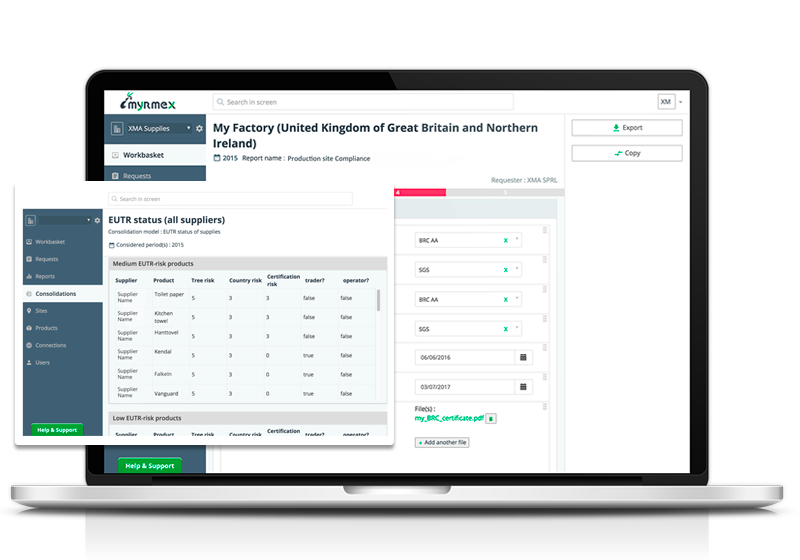 Depending on your sector, key potential sourcing risks can be tackled by using Myrmex to assess suppliers (Click here) or product traceability (certificates e.g. "Food suppliers", see here). Myrmex is a key companion to let you get the accurate figures on the right topic, and manage effectively the supply chain emerging issues at very low cost. Myrmex offers assessment methods to build accurate socio-environmental scorecards of the products or services that you procure. MYRMEX is tailored for calculating environmental indicators and conducting analysis of your product or site environmental footprint. It aims at responding to the increasing demands for environmental performance monitoring along the value chain on a year to year basis (with EMAS). Whatever the impact, be it carbon (check here), water, waste (see here) or bio-diversity, MYRMEX leverages its experts-based referential database to calculate the most accurate results. With Myrmex, no need to collect data more than once. 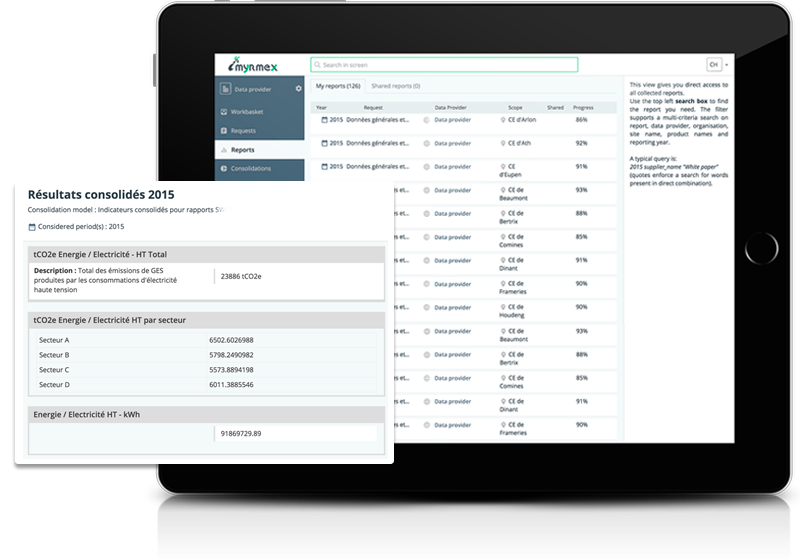 Myrmex allows to manage environmental data in one place, and to respond to requests from stakeholders in 'one-click'. 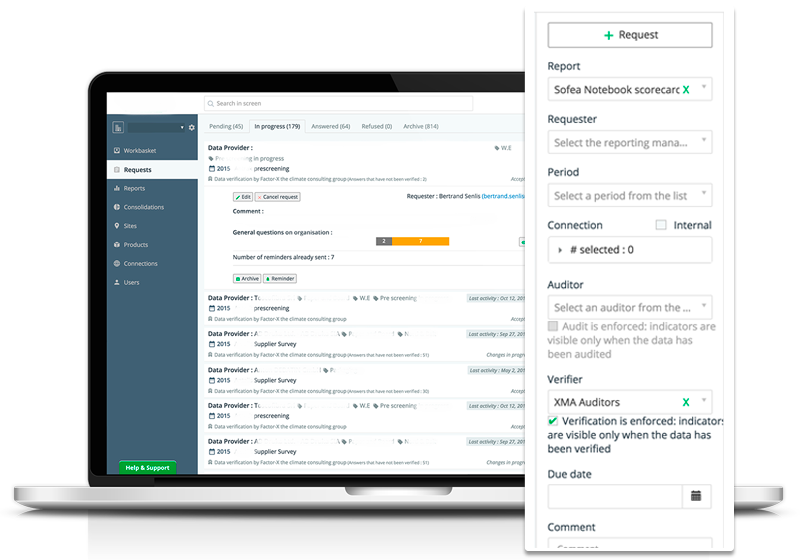 By simply requesting reports for different purposes, existing data will often be re-used at organization and site level. Data gathering progress is dynamically monitored and reminders are sent out automatically when deadline have to be met. Data from previous periods can also be copied preventing re-entry. "The Myrmex platform enables us to provide our customers with robust guarantees regarding the environmental performance of our offering." Myrmex improves the traceability of your socio-environmental impacts. It keeps track of who encoded what and when along the value chain. It traces the sources and lists certificates used as evidences supporting self-claims. As a trusted third-party it features functionalities to guarantee data quality as well as security and privacy between involved parties. "Myrmex ease the gathering process and help us report our detailed carbon footprint"
Myrmex increases your productivity by making the whole process from collecting data up to publishing the report highly flexible. The questionnaires required to collect raw data are simple to fill-in. Reports comprise indicators that are calculated and displayed on the spot through derived formulas. 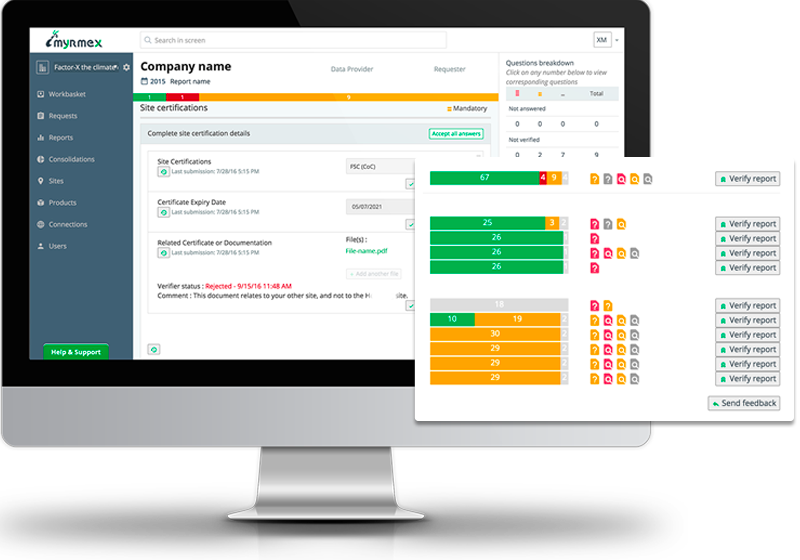 Moreover, Myrmex makes collaborative reporting, even with external stakeholders, as easy as 1-2-3 GO thanks to an internal business process engine ! "We selected Myrmex among 5 other vendors as best solution to implement our environmental product scorecard"